Blizzard Entertainment officially unveiled their plans to launch WoW Classic servers at BlizzCon 2017. 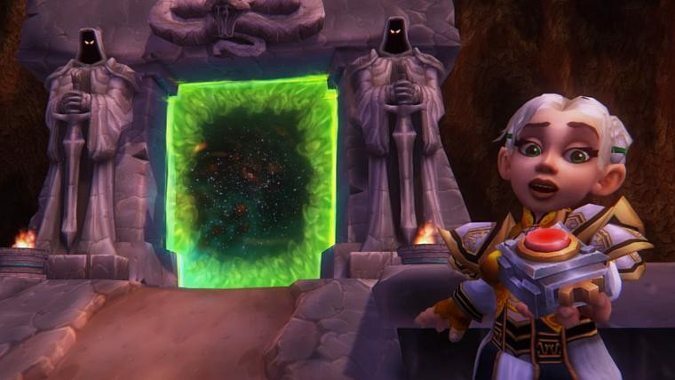 The specifics about how it will work, which patch it will run, and all of those little details are still up in the air — and if you want to get in on the conversation, Blizzard has opened a new WoW Classic forum. The forum is already host to some great conversations about what WoW Classic should be. For example, some of the talent and gear changes in late vanilla trivialized its earliest raids such as Molten Core. User Mayvus questions whether raids should be rebalanced with patch 1.12 in mind to make its difficulty more authentic to launch. Meanwhile, user Ziber discusses whether or not modern non-gameplay systems should be included in WoW Classic — features such as Blizzard Battle.net’s social tools, UI upgrades, and so on. If you’re interested in playing WoW Classic, head over to the forums and join the conversation. If you’re not interested, that’s fine, just try not to be a jerk about it. Let people be excited. No need to be a downer.